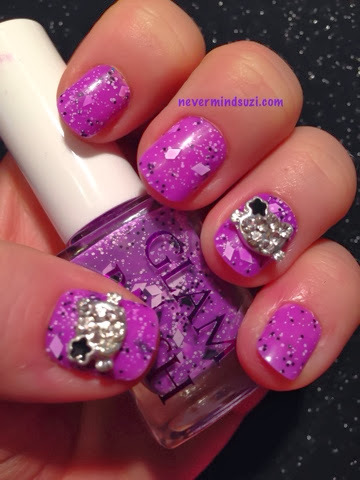 Today I'm wearing the gorgeous Glam Polish - Purple Minion Madness. As a huge Despicable Me and Minion fan I HAD to get my hands on these. So much so, that my lovely friend carted them all the way from Australia for me. 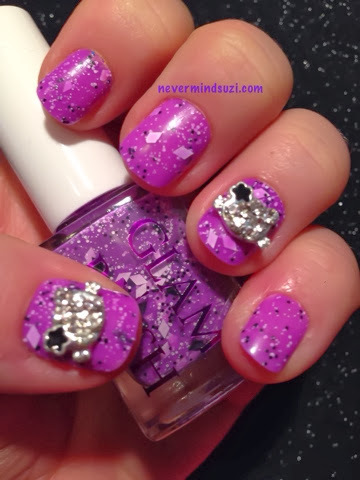 A pinkish based purple full of black and white glitters and black and white diamonds. I'm wearing 2 coats over some lilac false nails. I've topped these with some blingy Hello Kitty charms that I got from BornPrettyStore, I got these in these fabulous value Lucky Bags here. I'm hoping to get my hands on some more Glam Polish beauties very soon! 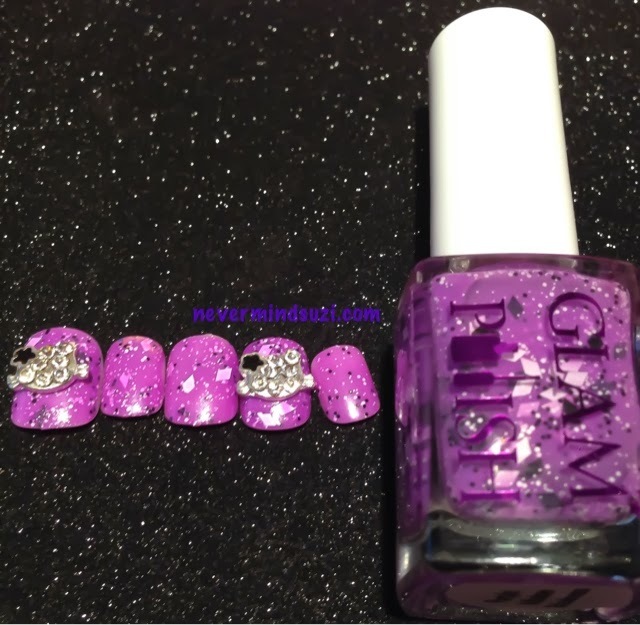 Oooh diamond glitter looks fab!